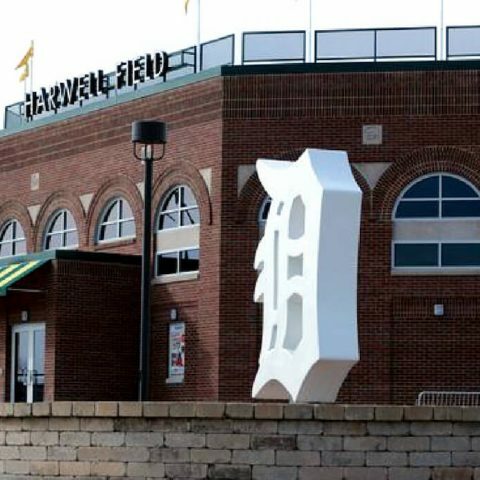 Announcer Ernie Harwell was the legendary “Voice of Summer” for the Detroit Tigers. Anyone who listened to broadcasts of the games remembers his voice, his memorable calls, his quick wit, and his humanity. 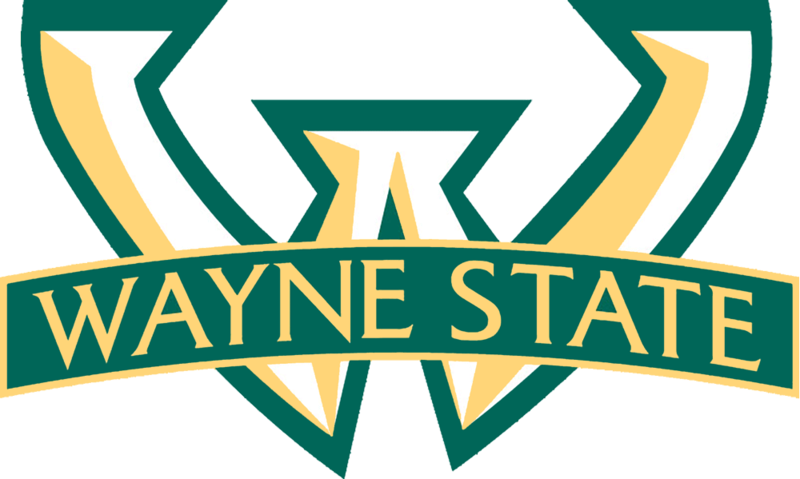 So, it makes sense then that when Wayne State University created a new athletic field, the school honored the memory of the great man who was such an integral part of Detroit history until he passed away in 2010. 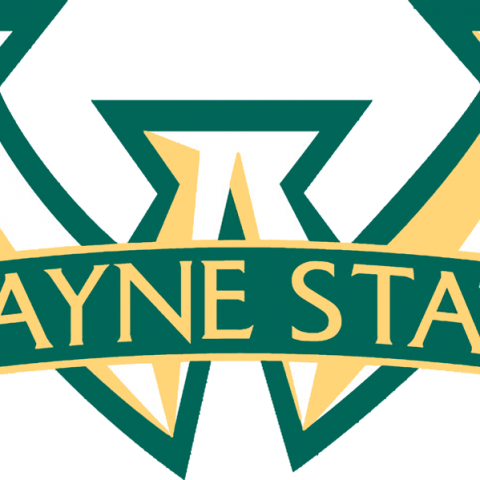 The Wayne State University Department of Athletics had its grand opening for the Harwell Field Facility on April 18, 2017 after an initial groundbreaking on August 8, 2016. The entire $2.3 million cost was paid from private donations with no state funding. Williams Electrical and Telecommunications Co. (Williams) was selected by general contractor Brencal Contractors to work alongside D’Aloisio Masonry to create the unique facility. 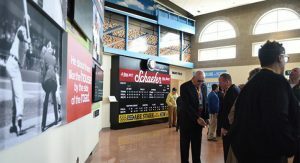 Williams installed the electrical power for the lighting, signage, scoreboard, and monitors both inside the building and on the field. 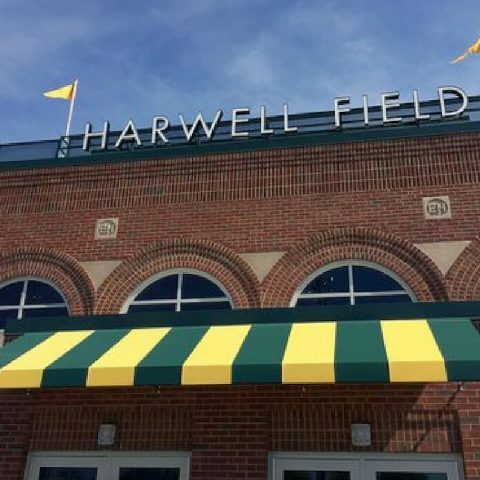 The Harwell Field sign features two-foot-tall LED illuminated letters. 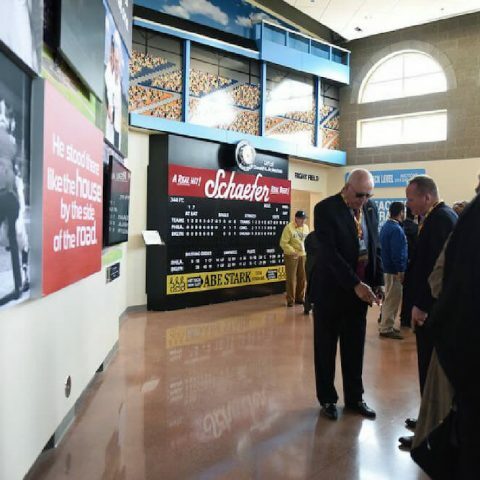 The facility evokes baseball history throughout. 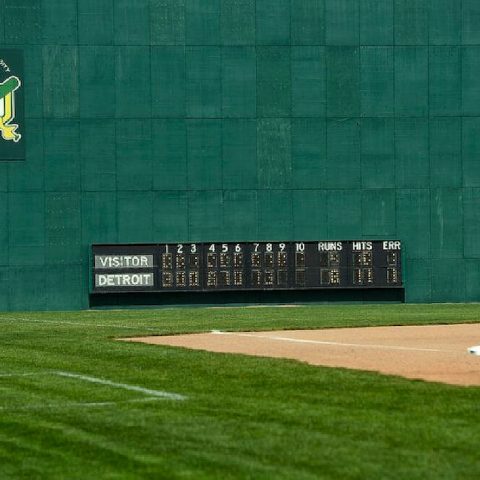 Through an arrangement with the Detroit Historical Society made years earlier, the left field scoreboard from the former Tiger Stadium has been made functional and is attached to the base of the left field wall. 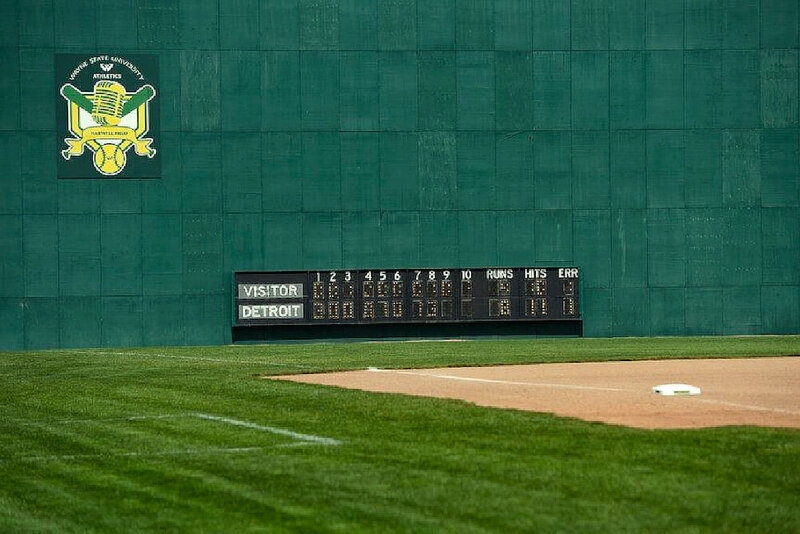 A replica Fenway Park outfield fence was installed matching the original in Boston including a 37-foot-high “Green Monster” outfield configuration and right field foul pole just like at Fenway. 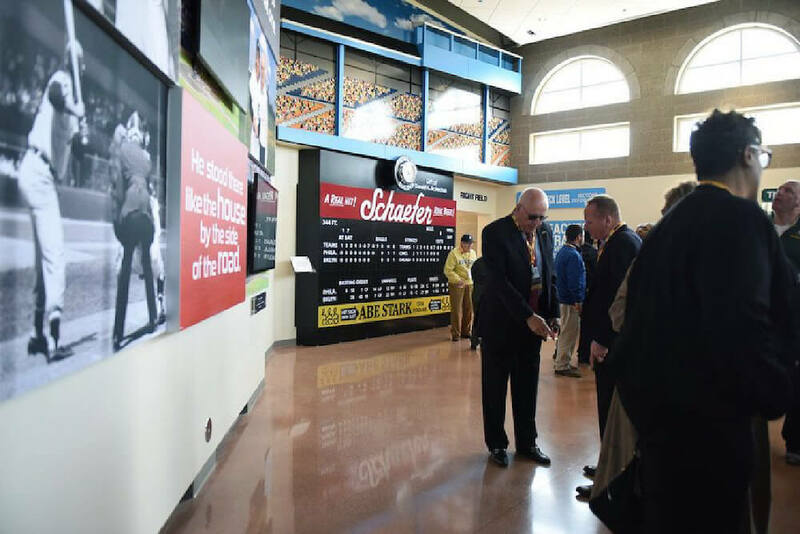 The building itself is a replica of Brooklyn Dodgers Ebbets Field Rotunda (main entrance) with the fabric awning and metal rail and screen replicating Ebbets where Ernie started his career in 1948. 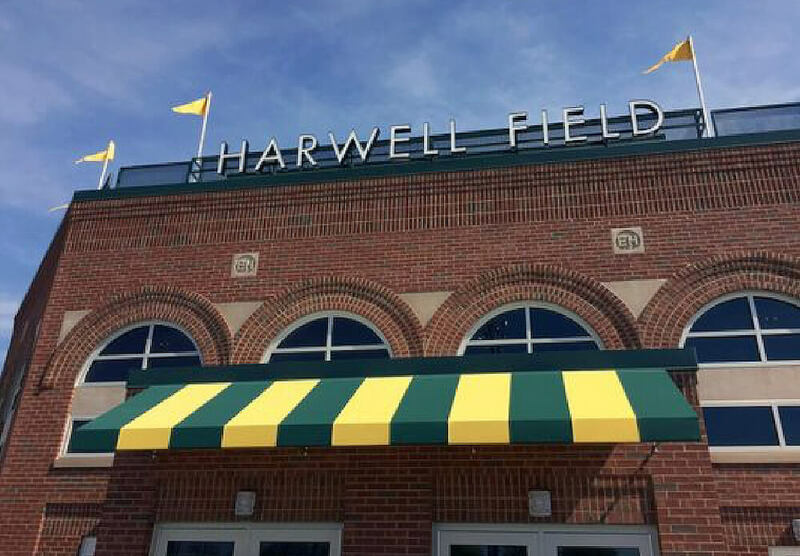 Even the Harwell Field signage atop the facility is based on the signage at Ebbets. Inside the look continues. The 2,675 gross sq. ft. building area features a red, sunbaked clay colored polished concrete floor that gives it the look of a baseball infield. The suspended, acoustical tiled cloud ceilings are dimensionally proportionate to resemble home plate. Brick headers and soldier courses (vertical brick) detail early 20th century baseball stadiums are accented by true limestone arches. The ground face concrete block on the interior gives the area an earthen look to match the floor. 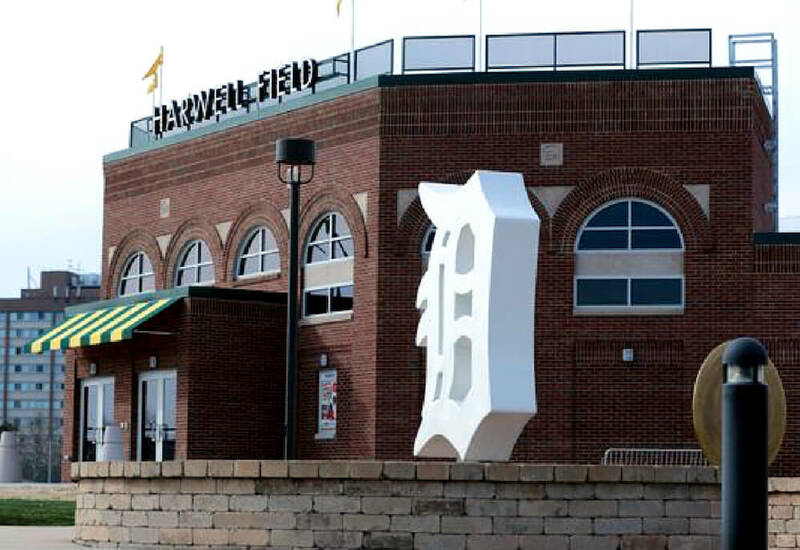 The baseball overhang matches Tiger Stadium’s right field while the Schaefer scoreboard inside the building is a replica of the unique Ebbets Field scoreboard on which the “H” lit up for a hit and the “E” for an error.